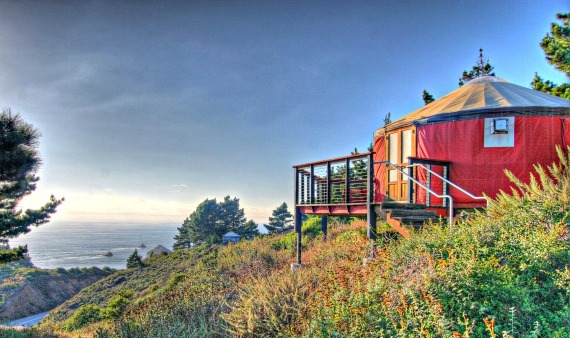 The Big Sur cabins and yurts that nestle among the towering redwoods and cling to the cliffs just above the Pacific Ocean, have been a mighty draw for city weary travels and those seeking to rekindle their romantic spirits for a long time. Even the Bohemian writers and artists from San Francisco who came to Carmel journeyed farther over treacherous roads to reach the Big Sur. Some of the cabins here now can be dated back to that melancholy period of time when life was a bit different. Many are tucked into virgin redwood forests or in the canyons that overlook the sea. Now the "Big Sur" is much more easily accessible. The romantic reality of this magical place allows you to truly relax and enjoy the best of what Mother Nature offers.This ragged portion of California's Pacific Ocean is rated one of the best drives in the world and is about as good as it gets. The Big Sur Coast has it all! You can have luxury in one of the private Big Sur cabins with all the amenities, or stay in a rustic cabin or yurt set among towering redwoods where the sounds of the forest will lull you to sleep. You could even stay in a bird-like "nest" perched on the edge of a cliff with nothing but unobstructed and very private ocean views. Or you might choose to stay in a restored vintage trailer set on acreage far away from the busy tourists near Big Sur Village. No matter where you choose to stay, the romantic pull of this part of the California Coast is legendary and something you will feel if given enough escape time. Just spend a week here and you will see it for yourselves. It used to be that Sweedish native Grandpa Deetjen required that he personally meet everyone in person or by recommendation before they were allowed to stay here. I was fortunate to stay in "Grandpas Room" for a few nights and thoroughly enjoyed the rustic hand cut timbered walls, but also the restaurant which was classic Big Sur ... right along with the owl that was somewhere very close and personal as we enjoyed a fantastic dinner and desert. Twenty very unique cabins are squeezed among the redwoods in the area of Big Sur known as Castro Canyon. Each one has a story, lengthy history and a romantic vibe ... just perfect for those who want to escape! While there are many choices for accommodation in Big Sur, many Big Sur Cabins are here that you would not find without a little research. Forget the internet offerings from large corporations, and maybe take a look at what private owners who live in Big Sur are offering. VRBO, Homeaway, and Flip Key are widely known around the world as reputable hosting agents of private homes. You could stay in a huge home with majestic views of the ocean for $800 a night or stay in a vintage 1974 Airstream trailer for $185 a night and have a very private, very quiet and seriously romantic adventure away from the crowds. These kinds of choices help to make sure this trip won't be forgotten even years down the road an probably do more to strengthen relationships that all the commercial hotels and motels anywhere. Owners on Flip Key and other hosting agencies usually offer insight into the best hiking trails, best restaurants and hidden gems that are often missed. I know of owners who are on site and reside in Big Sur that lend sweaters, hiking gear, or provide in other ways a very personal touch for their visitors. The peacefulness in the back canyons and hilltops of Big Sur is palatable, and the views of the starlit sky back in these more private places invite good conversation and romantic memories. While technically not a cabin, the yurts at Treebones have been tremendously popular as a glamping destination. Set high above the cliffs of the Pacific Ocean, the views are incredible as is the food at the on site restaurant and the only sushi bar anywhere in the area. 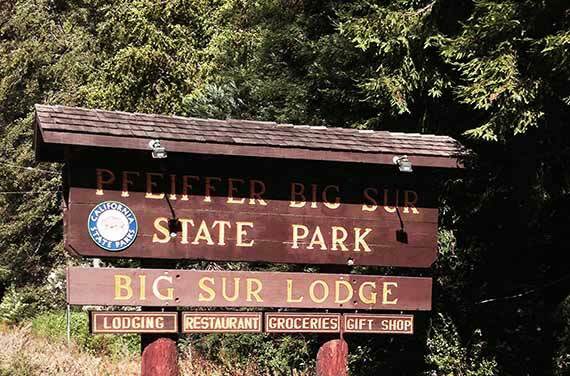 If you want a Big Sur cabin experience punctuated with all the amenities expected at home but don't mind being a little close to your neighbor, you might consider a stay within the boundaries of Pfeiffer Big Sur State Park. 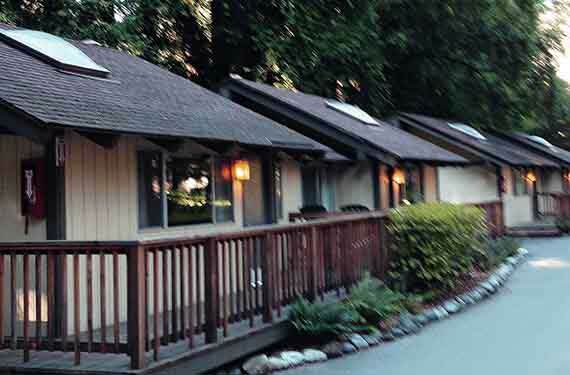 Nestled among a grove of towering redwood and oak trees and surrounding a large pool, your room will have a small deck, a full bathroom, fireplace and kitchenette with hiking trails all within a few minutes of your front door. Neat and tidy cabins with all the amenities and ... inside the park! 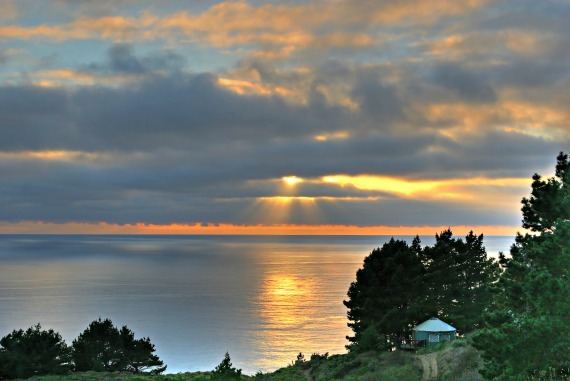 This is a popular set of two Big Sur cabins are set apart almost a hundred yards with reasonable distance and are about 15 miles north of the Pffeifer Big Sur State Park and very near the Rocky Point Restaurant just south of Carmel Highlands. Both cabins sit within a mix of redwoods and oak but the Serenity cabin has been placed so that redwood canopy completely covers the cabin. What at first might seem strange, becomes a delightful surprise. The bathtub and toilet are outside on the deck but reviews suggest that it's very much a fun adventure to take a bubble bath on the deck in complete privacy. Candles are provided for that secluded romantic evening that seems almost magical under the rustling leaves of oaks and the distant sounds of a small river on the property. The Mountain Light cabin sits up higher ... much like being in treehouse if that appeals to your sense of adventure and romance. Rates are about the least expensive anywhere in this area for the experience. The rate of $145 a night includes 10% local taxes and the nice added bonus of there no cleaning fees that sometimes suprise guests who stay in Big Sur. Doug and Donna do an excellent job of making sure their visitors feel welcome at at ease on their property. Visit their website www.rosehavencabins.com and turn up your speakers to hear what the sound of a peaceful running stream can do for your sense of peace. If you want a classic vintage 1930's and 40's cliff side getaway in a setting often used by movie directors, then you might want to try the Cabins at Lucia Lodge and Cabins. This place is a little farther down the Big Sur Coast very near the tiny town of Lucia. 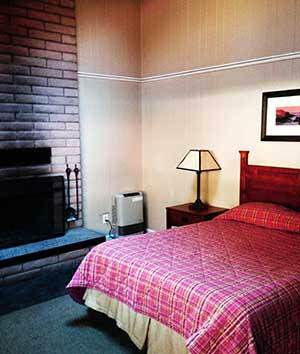 Stay in Big Sur cabin #10 known as the honeymoon suite for it's very close and romantic ciffside edge location. I can still see the final scene of "The Limey" with Peter Fonda and Leslie Ann Warren filmed in 1998, of two lovers separated by circumstance who unexpectedly meet again as if it was serendipitous at the steps of this particular cabin. The rooms are tiny and creaky but the romantic character is palpable, so I recommend that you go for the adventure and the views. Forget that the doors creek and the blinds don't work and the sometimes musty smell can be annoying, and go to wake up to the sounds of crashing waves just outside your door. You can stay at the Hyatt with complete predictability anytime. Just watch your step as you exit your room since the ocean is 300 feet straight down. Just 27 miles south of Carmel and in the middle of Big Sur lies Ripplewood cabins. Seventeen Big Sur cabins with a rustic feel but with all the with the essentials. Located within walking distance to The Big Sur Bakery, a small supply and grocery store and a restaurant where the Cinnamon French Toast with home made applesauce is amazing. Like it's neighbor Fernwood Resort just a short distance away, these cabins have the convenience of being close to everything but lack the privacy of other reviews.